As Brand Development Solution, Back2Basics, LLC focuses on the design, development, optimization and reach of your brand. We’re an agency dedicated to helping local small business owners and managers expand the reach and awareness of their business brand, and reinforcing their brand story through a variety of solutions from design to digital marketing to brand management and security. But, these are goals and tasks we know we can’t always tackle on our own and need the support of trusted partners and industry experts to help you achieve those goals. Additionally, there are those specialized needs effecting the efficiency or productivity of business… the technical aspects of a running a business like email, phone, computer hardware, and more. If you’re struggling with any technical aspect of your business, this could subsequently effect how others see your brand; ultimately effecting how you reach new consumers or engage with existing customers. Although these technical needs are outside of our scope of solutions, we understand our clients are looking for guidance and trusted opinion for a one-stop feel. So, we often find ourselves trying to provide trusted referrals or insight to our customers that can help businesses keep moving forward. Our friends at Call That Girl are one of those industry experts we trust to take care of questions, concerns, and email service needs; specifically Microsoft Outlook, Exchange email or Office365 needs. When it comes to understanding the benefits of Microsoft Outlook for any business and how to setup or migrate email solutions to Exchange Email solutions, Office365 or Microsoft Outlook, we turn to the Minnesota based experts at Call That Girl. So, who is Call That Girl, and what do they do? 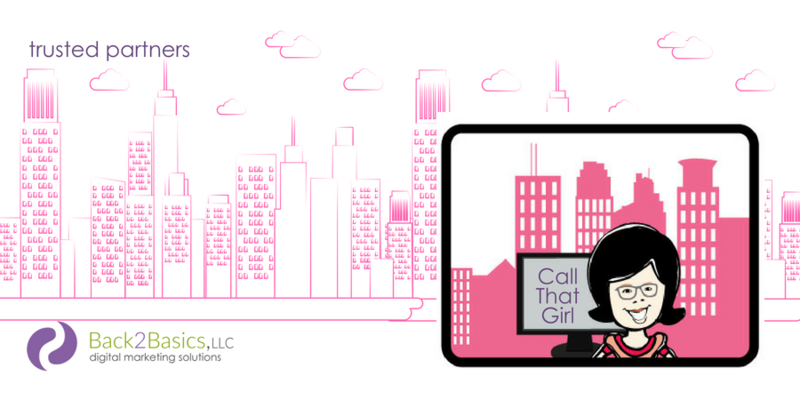 Call That Girl (CTG) is a woman-owned business; run by CTG president, Lisa Hendrickson. CTG offers remote support for clients around the world needing assistance with Microsoft Outlook and Office 365. They offer support services by the hour or clients may purchase 4 and – hour ticket packages for larger projects and on-going support. There is no long-term contract requirements. Lisa Hendrickson is an Outlook Expert specializing in Outlook configuration, optimization or repair services, and Microsoft Exchange migrations. If you need to move data from iCloud, Gmail, Outlook.com, AOL, Yahoo, Comcast, etc. and you’re using Outlook, Call That Girl can help! Are you new to Office 365? Is your company needing help with an Office 365 or Outlook setup and migration project? This is a specialty for Lisa. The Office 365 product line is very robust and intense, and Lisa and her referral team know every single one of them. Over the past few years Lisa has learned some products simply need more advanced technical skills to implement and optimize. Lisa can save you time and save you from added frustration through this process. Call That Girl also can help setup your email and Office 365 security! Need training on email phishing? Lisa has 30 min webinars to help train and offer a lot of great advice on how to avoid being part of a email phishing and wire fraud transfer scam. or Contact Call That Girl today.